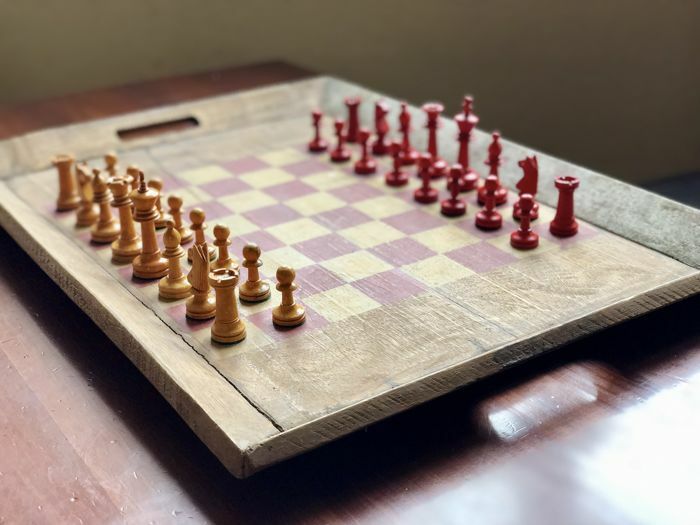 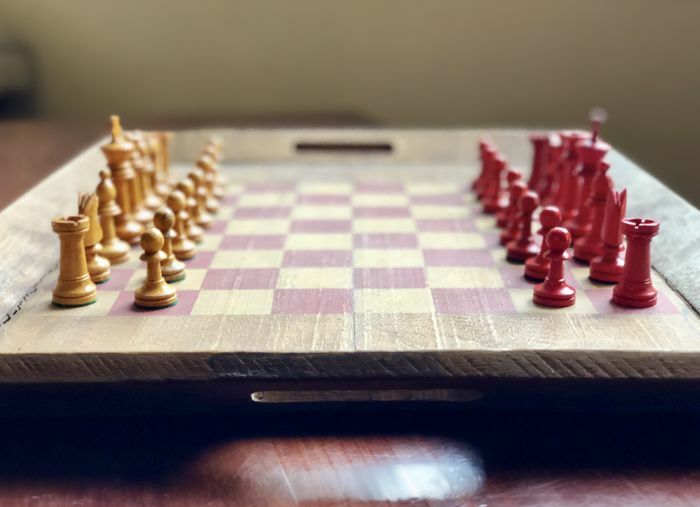 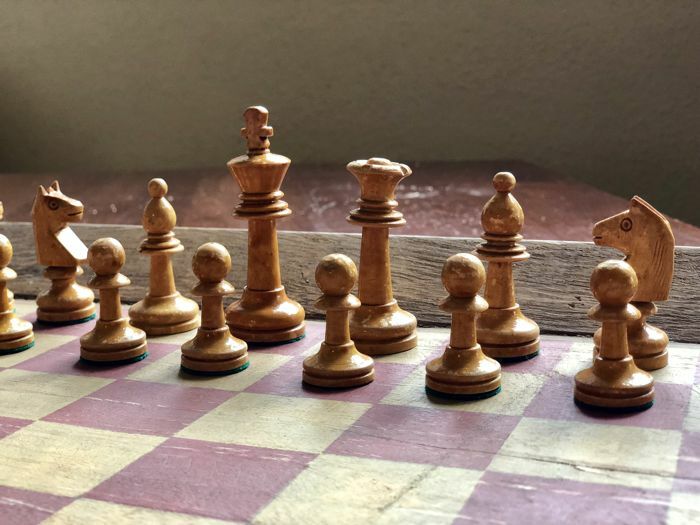 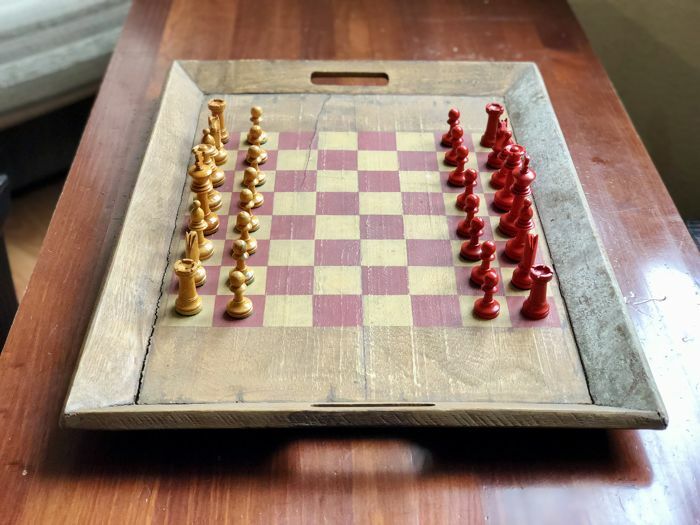 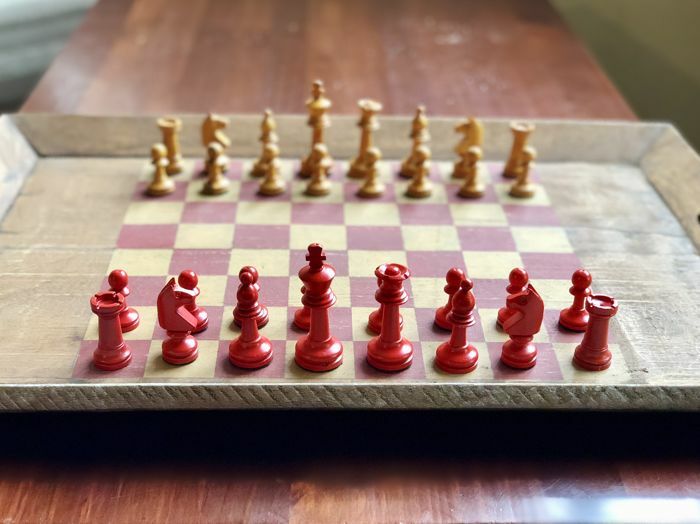 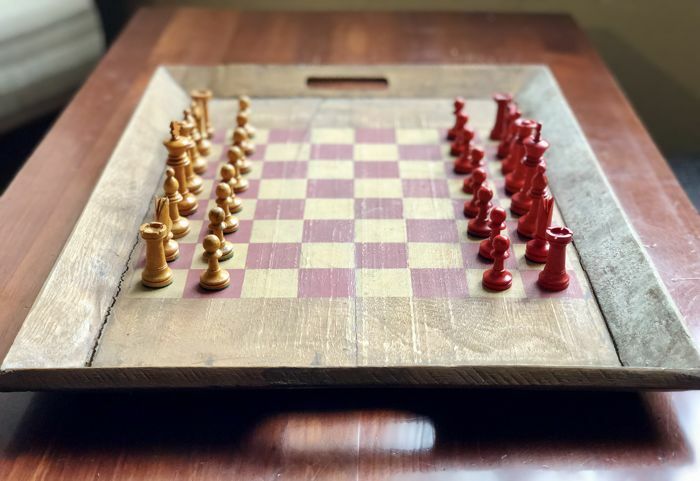 Old wooden chess with the shape of a rustic tray, mid 20th century. 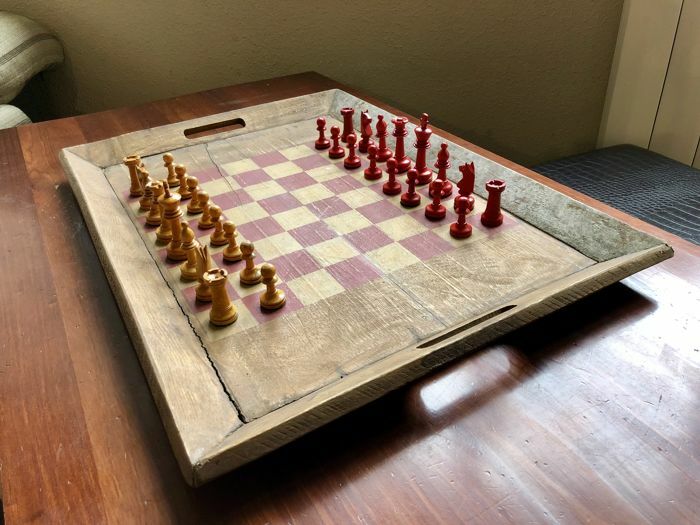 It has a beautiful vintage look with a crack due to the passage of time. 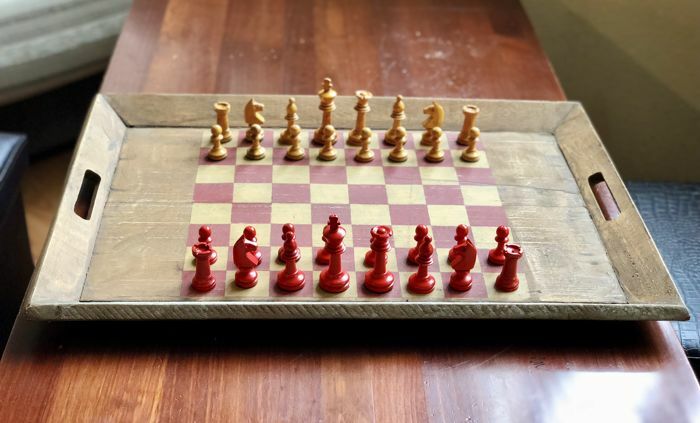 It also includes the red pieces of Staunton style of the 20s. 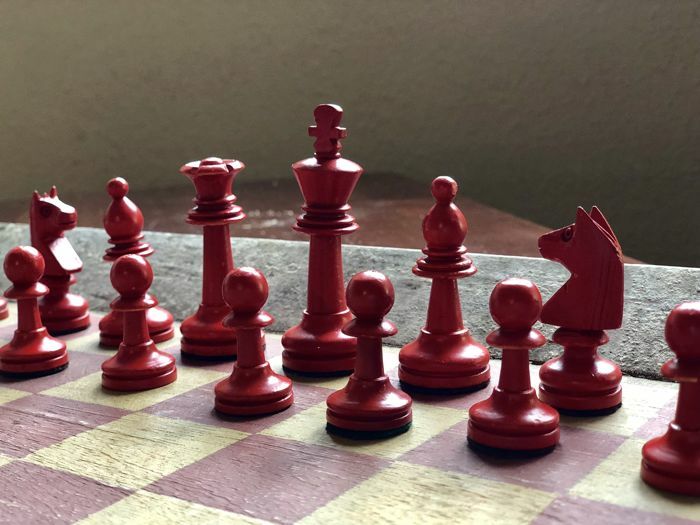 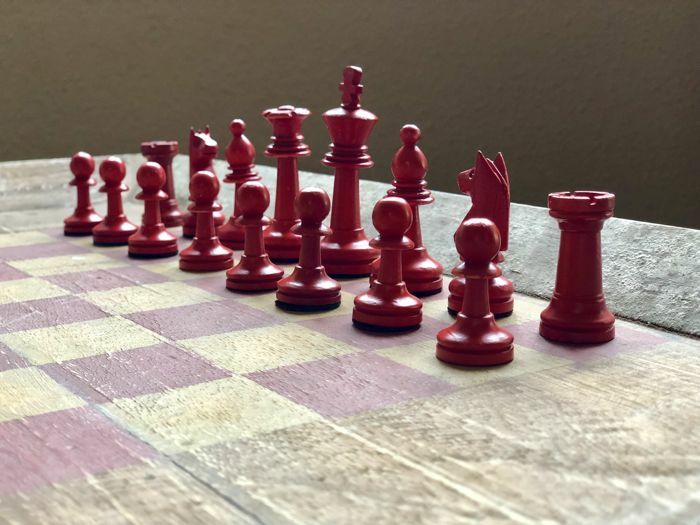 Perfect set with history for chess lovers. 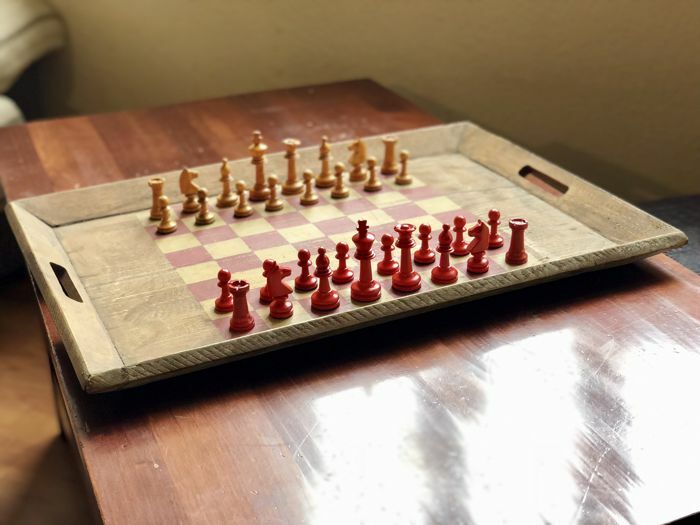 It includes a box for the white pieces. 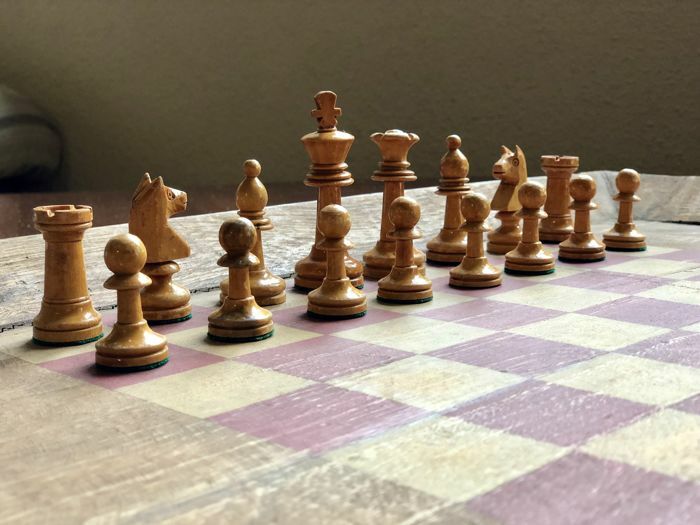 Ottimo venditore , super affidabile lo consiglio a tutti.